It has been a wild year in the beer world, and I mean all over the world. Mergers and acquisitions by some of the largest brewers both globally and on the American craft scene – which includes acquisitions by global giants of American craft breweries – will leave anyone’s head spinning. Forecasts from analysts at points during the year flipped the craft beer industry to a “sell” for the first time in a long time. 2 of the world’s largest brewing companies are going to be one combined company. Everyone feels the need to brew a beer with damn pumpkins. And I haven’t been in a brewery tap room in a damn month. I think I even saw some cats and dogs giving hugs and negotiating a cease fire. Is this finally the beginning of the end of true local success brewing stories as we know them? Nah. Because within this year of horror headlines for the craft industry, success stories are still all around if you look for them. And I’m as excited as can be to revisit a story we were able to share this January. 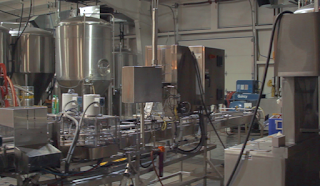 It’s the story of the smallest brewing company that we’ve highlighted – Backswing Brewing Company. 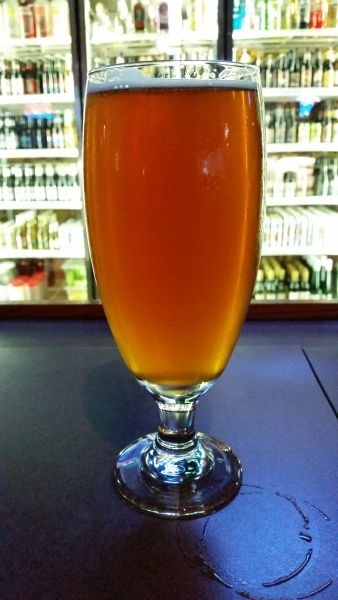 11 months ago I was able to try the first offering from Nebraska’s newest brewery – Backswing’s flagship IPA – before it hit local taps. 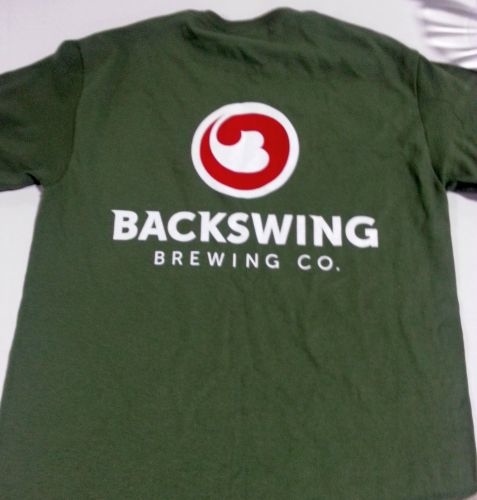 After I tasted their bold, not overly bitter, IPA I was excited to share the Backswing Brewing Company story. At that point the Backswing team was garage and contract brewing for a launch at Brewsky’s Sports Bars in Nebraska. Well, this year dreams can come true very fast. The team at Backswing Brewing have the ability to take that next step as the brewery that they have been contracting through is coming available and the first people they reached out to for purchase was Backswing. Woo Hoo! 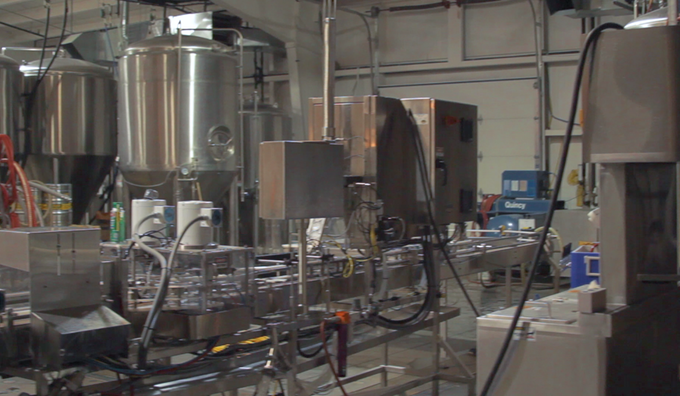 More equipment equals more great beer! 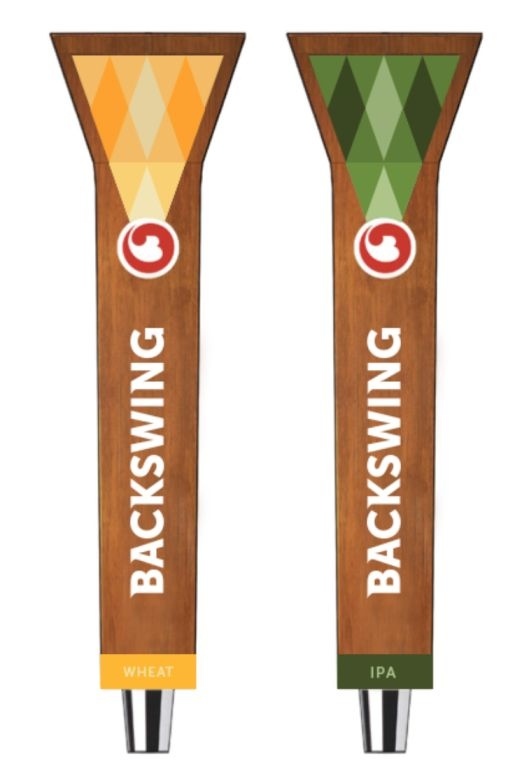 Glad I asked myself - I do talk to myself a lot - because since the launch of the Backswing IPA in February, they have also brought 2 wheat beers - yes more than 1 wheat - to the public and have a stout, pilsner and others in post production right now. I wouldn’t be doing my job if I didn’t taste and then continue my story after tasting. The Backswing Wheats are very distinct in their flavor from each other and from other wheat beers on the market. Without a true name yet, I’ll refer to them as wheat and hop wheat - don’t be scared off by the word “hop” because in this case it has more to do with taste than bitterness. The Backswing Wheat has the flavor and consistency of a traditional American unfiltered wheat. 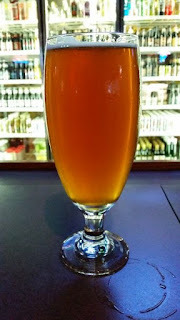 It’s a refreshing full bodied wheat - translated a wheat with flavor - that has a nice citrus backbone little after taste. It’s an easy drinking beer that actually has taste. It’s a welcome entry into a market that sometimes ignores a need for a good beer that has a great flavor but doesn’t overwhelm every sense. The hop wheat takes the wheat beer to a different level, but not a hop bomb level. The hops - and the malt as well - add some color and actually a little bit more citrus. The difference in the hops between the two isn’t how much is added, but when they are added. The character of the hop is very noticeable, but again because you will taste more flavor rather than bitterness. This beer may teeter on the edge of a pale ale/wheat hybrid, but I’d like to think that these two beers are more an unfiltered wheat and a traditional wheat instead. Both wheat beers from Backswing are a hit though, and that’s all that matters. Put those together with the already popular IPA and this brewery has moved from flagship brew to a consistent line of beers. Why the follow up on this team though? Well, Backswing needs all of our help to achieve the dream. I’d like to throw out that I have no vested interest in the brewery. I have not been offered beer for life from them (but maybe I should ask). For me it’s simple, I really like these guys. I like the story of 3 guys with different paths that had no idea they had a gift. I like their personalities, their story and – as a resident of a state that is still short on go to beers – I like their beers. With even the most subtle tilt this year in the beer industry that hints at big beer grabbing back some of its losses, it is refreshing to be able to follow a brewery from birth to terrible twos – or whatever infancy metaphor you’d like to use. Fly Over Country - yes I know fly over is meant as a put down but I embrace it - deserves more good beer on the shelves.